So it's not surprising that claims that fentanyl has shown up in marijuana causes alarm bells to ring. But there's not a scintilla of evidence for it, and the claims are doubly damaging. Scaring pot smokers away from a substance that has no overdose potential is not a good thing, and neither is raising fears about opiated weed when weed may actually help people suffering from opioid addiction. Still, like a vampire, the myth of marijuana laced with the deadly opioid fentanyl refuses to die. It first went nationwide in June, thanks to an Ohio U.S. senator's press conference, and while a VICE debunking at the time should have driven a stake through its heart, it has reared up once again this month, most recently thanks to a local prosecutor in Tennessee. "There are some marijuana dealers that will tell their clients that I have no doubt there is fentanyl in it and some of the more addictive folks, especially folks that also use other drugs, will get that marijuana laced with fentanyl in hopes of getting a better high," District 24 Attorney General Matthew Stowe told a credulous WKRN-TV in an interview last week. "The bottom line is, anyone, anywhere could mix fentanyl and marijuana and there's no way of knowing it until it's too late." Still, such obvious objections haven't stopped the spread of the myth, which may have originated in a February Facebook post from the Painesville Township Fire Department in northeast Ohio. That post, which quickly went viral, reported that three men had reported overdosing after smoking "marijuana laced with an unknown opiate." It was picked up by a local ABC TV affiliate, which reported "three separate incidents, but all with the same result -- overdoses from opiate-laced marijuana." It wasn't true. As Cleveland.com reported shortly afterward, toxicology results showed that "the three people who claimed they had overdosed on marijuana laced with an unknown opiate actually used crack cocaine and other drugs." 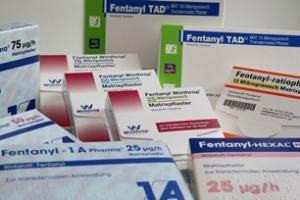 "Marijuana laced with fentanyl: police warn of another potentially dangerous drug mixture," News 5 Cleveland reported on June 14. There weren't any actual cases of the pot/fentanyl mixture showing up, but "police said the warning was necessary to alert people, especially parents, to the potential risk." Despite the baselessness of the claim, it was back again this month. Police and health officials in London, Ontario, sent out warnings after people who claimed to have only smoked pot came back positive for opioids on urine drug tests, without ever considering the possibility that those people weren't telling the truth. Canadian Federal Health Minister Jane Philpott had to step in to put a stop to the nonsense: "We have confirmed this with chiefs of police [and] law enforcement officials across this country -- there is zero documented evidence that ever in this country cannabis has been found laced with fentanyl," she told the London Free Press. "It's very important that we make sure that that message is clear." That didn't stop police in Yarmouth, Massachusetts, from generating a similar story just days later. It was another case of a man who overdosed on opioids claiming to have only smoked pot. Police there said they "believe that is possible that the marijuana was laced with fentanyl, which police are starting to see more and more across the country." It's slow in the dog days of August, but there is a bit of news out there: Indianapolis cops have to revise their vehicle seizure practices, Alaska regulators are seeking public comment on proposed on-site pot consumption regulations, and more. 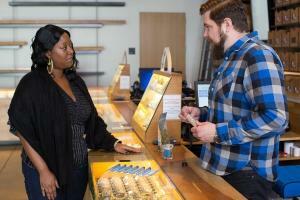 Alaska Regulators Seek Public Comment on Onsite Marijuana Consumption. The state's Marijuana Control Board has created a draft proposal that would allow some pot shops to provide a space for on-premises consumption of products bought there. Now it's giving the public a chance to weigh in. People who want to comment have until October 27. Nevada Gaming Commission to Discuss Marijuana-Related Issues. The state Gaming Commission will hold a special meeting Thursday to address problems the gambling industry may have to confront after the state legalized marijuana. The commission is likely to discuss ways to keep gaming companies from being associated with marijuana businesses, which are illegal under federal law. Indiana Federal Judge Restricts Indianapolis Police Seizure Practices. The Indianapolis Metro Police Department may no longer hold seized vehicles for up to six months before deciding whether to file formal asset forfeiture paperwork, a federal district court judge ruled on Monday. The ruling came in a class action lawsuit challenging such seizures. "The Court concludes that the statutory provisions allowing for the seizure and retention of vehicles without providing an opportunity for an individual to challenge the pre-forfeiture deprivation are unconstitutional," US District Chief Judge Jane Magnus-Stinson ruled in remarks reported by The Indianapolis Star. 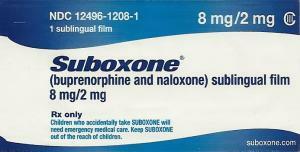 Kentucky First Responders Get Naloxone. Gov. Matt Bevin (R) joined officials from northern Kentucky and executives from Aetna to announce Wednesday that first responders in the northern and Appalachian regions will receive720 doses of the overdose reversal drug naloxone in a bid to prevent overdose deaths. Drug overdose deaths in the state were at record levels last year, up more than 7% over 2015. New Jersey pols look to legalize pot next year, Vermont pols look to legalize it this week, China bans more synthetic opioids, Mexico officially embraces medical marijuana, and more. Medical marijuana is now officially legal in Mexico, but rules and regulations will take some time. New Jersey Legalization Bill Gets Hearing. 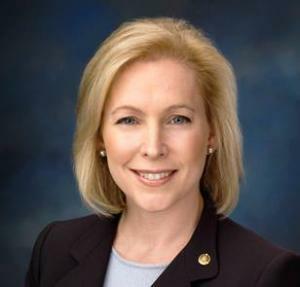 The Senate Judiciary Committee held a hearing on a legalization measure, Senate Bill 3195, on Monday. The testimony was largely favorable, including from a former state Republican Committee head, the head of a doctors' organization favoring legalization, and from a long-time municipal prosecutor. "I believe by legalizing and regulating it and discouraging, officially as official government policy, like we do with tobacco and alcohol, we will be far better off than the status quo," prosecutor J.H. Barr told the committee. No vote was taken. The bill is strongly opposed by Gov. Chris Christie (R), but he'll be gone in January. Vermont Legislators Will Try to Get Weed Legalized in Special Session This Week. Gov. Phil Scott (R) vetoed the legalization bill in May, saying he had public safety concerns. Supporters of legalization have come back with a bill that now has stiffer penalties for drugged driving, smoking pot in cars with kids, providing pot to kids, and selling pot in school zones -- all in a bid to win the governor's support. The bill does not include "impairment testing mechanism" requested by Scott, largely because there are no marijuana breathalyzers on the market. Scott has declined to comment on the revised bill. The special session begins Wednesday. Boston Ponders Supervised Injection Sites. With six people a day dying of opioid overdoses in the city so far this year, the city council has set a hearing next Monday to explore the potential impact of supervised injection sites. The move comes after the Massachusetts Medical Society urged state officials to open at least two of the facilities. 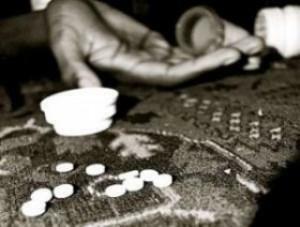 China Bans Synthetic Opioids Linked to US Overdose Deaths. China announced on Monday that it is banning the ultra-potent synthetic opioid U-47700 and three others. The DEA says China is the chief source of synthetic opioids, including fentanyl and carfentanil, which China has already banned. U-47700, MT-45, PMMA, and 4,4-DMAR will be added to the country's list of controlled substances as of July 1, said Deng Ming, deputy director of the National Narcotics Control Commission. Mexico Legalizes Medical Marijuana. 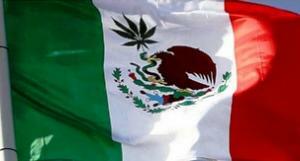 President Enrique Pena Nieto issued a decree on Monday officially legalizing medical marijuana in the country. Legislation authorizing medical marijuana sailed through the Senate in December and passed the lower house on a 347-7 vote in April. Now, the Ministry of Health will be tasked with drafting and implementing rules and regulations. New York lawmakers are beginning a new push for marijuana legalization, the Florida Senate has passed a medical marijuana implementation bill, LA County Sheriff's deputies begin carrying the overdose reversal drug Naloxone, and more. New York Lawmakers Prepare Legalization Effort. State Sen. Liz Krueger (D-Manhattan) and Rep. Crystal Peoples-Stokes (D-Buffalo), along with advocates organized by the Drug Policy Alliance, will hold a press conference Monday to announce the reintroduction of the Marijuana Regulation and Taxation Act, Senate Bill 3040 and its Assembly companion, Assembly Bill 3506. The legislation would establish a legal market for adult-use cannabis in the state, with marijuana taxed and regulated in a fashion similar to how alcohol is regulated for adults over 21. Rhode Island Legal MJ Backers Propose Compromise. Lawmakers trying to salvage a marijuana legalization effort have proposed a two-stage process where marijuana possession would be legalized first, but the legalization of marijuana commerce would come later. The proposal from Sen. Joshua Miller (D-Cranston) and Rep. Scott Slater (D-Providence) does not have the support of state Senate and House leaders, though. They are supporting a rival bill that would delay legalization by creating a legislative commission to study the issue. Arizona Attorney General Asks State Supreme Court to Reinstate Ban on Campus Medical Marijuana. Attorney General Mark Brnovich (R) has asked the state Supreme Court to review an appeals court ruling that struck down a ban on medical marijuana on college campuses. The state is arguing that the legislature had the right to alter the voter-approved medical marijuana law so that college students with medical marijuana cards could face felony arrests for possession of any amount of marijuana. Florida Senate Passes Law Implementing Medical Marijuana. The state Senate on Friday approved a bill that would implement the state's constitutional amendment expanding the use of medical marijuana on a vote of 28-8. A similar bill fell apart during the legislature's regular session, but now, during a special session, it is moving. It must still past the House and be signed into law by Gov. Rick Scott (R) to become law. The bill would cap the number of medical marijuana cultivation operations at 25 statewide and it would not allow for the smoking of medical marijuana. 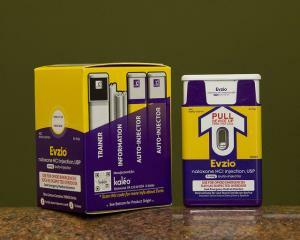 Los Angeles County Deputies to Start Carrying Naloxone. The Los Angeles County Sheriff's Department is about to become the largest law enforcement agency in the US to equip its members with the life-saving opioid overdose reversal drug. Some 600 Naloxone spray kits are being handed out this week, and the department plans to get the kits in the hands of 3,000 of its deputies by year's end.